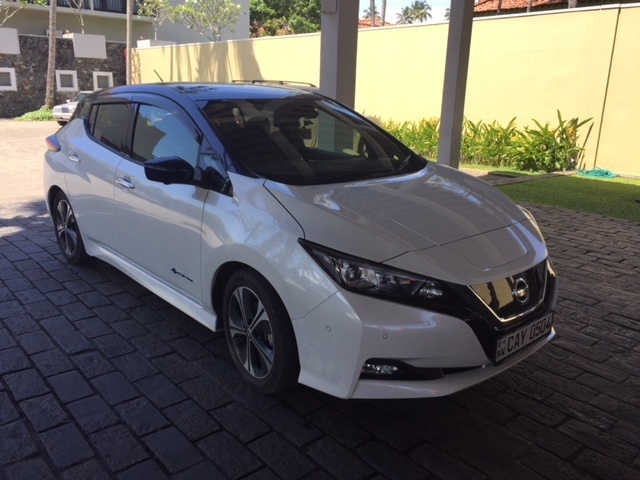 Nissan sells 54,451 Leaf EVs as customers “embrace” the new model – but not in Australia, just yet. Nissan is getting its electric vehicle game back on track, after selling a total of nearly 55,000 of its LEAF EVs since the start of July last year. The Japanese auto maker launched its second generation LEAF in September of 2017, promising a “completely reinvented” version what is, still, the world’s highest selling all-electric car. The company said on Tuesday that it had sold 54,451 LEAFs in fiscal year 2017, a 15 per cent increase from 47,423 a year earlier. The numbers are bound to have been boosted by the September release of the new model LEAF – although Australian customers are yet to see them in local car yards. As we reported here, the new and improved LEAF is not expected to arrive in Australia until sometime before July 2019 – putting it head to head with the Tesla Model 3 in this market. But both of those mid-priced EVs will be welcome additions to the Australian market, which has suffered a drought in electric vehicle availability that has helped put it well behind the rest of the world in the clean car transition. Nissan, meanwhile, seems confident the LEAF will hold onto the mantle of world’s best-selling EV, based on its extended range and hi-tech bells and whistles, as well as exposure to customers in 51 different global markets. “The strong performance of Nissan’s EV models globally is a testimony to our expertise and leadership in electric vehicle technology,” said Nissan executive vice president and head of its EV business, Daniele Schillaci. Nissan is also expanding its horizon beyond the LEAF, with plans to three new electric vehicles and five “e-POWER” models in Japan by the end of fiscal 2022, the company announced this week. All up, the automaker expects EVs and e-POWER models to make up 40 per cent of sales in Japan by the end of FY 2022, 50 per cent by 2025. The new Leaf is a very good car in almost every respect. If they sort out their battery degradation and thermal management issues, and manufacture in real volume, they will take a huge share of the EV market and help grow it faster. I’m not confident about those things happening however. For all the scorn poured on Tesla’s delays, they will probably still sell several times more than Nissan this year. Love our Leaf. Took a while to find one of the 120 used ones for sale in Australia.